Our Aspers Casino ratings 2018 reflect our opinion of this online casino that operates out of Alderney but has a United Kingdom Gambling Commission Licence. Before we get into our Aspers Casino Casino Review in more detail let’s look closer at the background of the site. Aspers Casino is owned by DAUB Alderney Ltd and is a sister site to Spin and Win Casino, Lucky Pants Bingo, Lucky VIP and whole host of other casino game sites. This scattergun approach to the online casino gaming market is an interesting strategy – and it is certainly true that none of these sites are major brands, but they are all well-reputed. 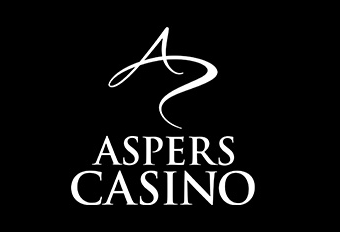 Aspers Casino online sits neatly in this category of small brand but with good reputation. You are more likely to know and have seen the copious number of Asper land-based casinos, which are popular and successful. This suggests the company have all the experience it needs to provide an engaging gambling experience. This is a good-looking casino – something that is important to begin with in our Aspers Casino Casino Review. It is unusual as it uses a single colour palette, there is no garish splash of rainbow style graphics across the site. There is also a wonderfully stylised A for the logo, which promotes the tone of this site – which is to be a classier experience than most other online casinos. To be fair, this casino does enjoy an excellent reputation across the net, with positive reviews and no major complaints logged at gambling portals. They also use eCOGRA as a means of resolving any disputes should they arise. In terms of payment options – you have a lot of choice. You can deposit with PayPal, MasterCard, Visa, Maestro, Neteller and Paysafecard. A downside in this Aspers Casino Casino review is the payment processing times. The site requires three days to initially process the request, in which time you can cancel the request. Then, you need to leave another three days for your eWallet withdrawals and up to 5 days for the cards. This is significantly longer than other sites – with some offering almost instant withdrawals. There is also a significant list of countries that are restricted from using the site – including France, Italy and the United States. This is a definite downside for the user experience in this Aspers Casino Casino Review. The site quality of the site is marked by its collaboration with some of the largest live game and table games providers. Our Aspers Casino Casino Review has been significantly influenced by the relationship with Microgaming and NetEntertainment with this site. Wagerworks (IGT) and WMS Gaming, amongst others. This decision by Aspers Casino to draw from different providers means there is a variety of the most popular games that the user will know. Overall, the design of the site and the app are professional. This is a slick site – with excellent navigation – meaning that new players will easily find their way around the site. There is no specific app but the mobile site is well-designed and works well on a tablet and a mobile phone. The headline figure for the quantity of games is more than 700. In reality, over 550 of these are slots. There are 30 table games, including multi-hand classic blackjack, European Roulette, Hi-Lo Jackpot and more. The only real choice, however, is amongst the slots. This is not unusual on casinos, but the lack of video poker is not and has severely impacted the Aspers Casino Ratings 2018. There are 47 different jackpots and 36 live games, which offers some redress. However, the live games only cover blackjack and roulette. The progressive jackpots offered by the site are generous. You will find the sort of wins that have changed people’s lives. To conclude, our Aspers Casino ratings 2018 reflect the mixed bag of games and features on the site. The welcome bonus is a 100% matched up to £200. This is a generous offer, though it is worth looking at the playthrough rates and the general terms and conditions before getting too carried away. For instance, the maximum win you take with this bonus amount is £500. Also, the bonus disappears with your first withdrawal. It is a little tricky understanding how to get the most out of this bonus and is worth some more detailed investigation by the user. The welcome bonus also includes 100 free spins on Starburst, which is arguably one of the most popular slot games on the internet. This again feels generous and does give the user a significant amount of time that could be considered free play. However, each spin on Starburst costs a small amount and the pay-outs are equally low. It is worth noting that you will not have access to this bonus if you deposit with Neteller. There is a VIP club on the site. This is always a positive when offering Aspers Casino ratings 2018. This is an invite-only VIP club and is offered to those players who are logged regularly checking their account and playing on the site. The perks of the VIP site are significant – including some VIP specific promotions and your own accounts manager. This suggests you also have to deposit a lot of money into the site before you are invited. Aspers land-based casinos is one of the top brands in the UK gambling market – and this is the force that is brought to the online casino and it the main reason this site deserves a positive overall Aspers Casino casino review. It is a professional outfit that offers an excellent experience to the gambler. You will enjoy the range of slots in particular, and the significant number of jackpots where you can win those headline amounts. This is why it does so well in our Aspers casino ratings 2018. Strong VIP scheme – if you spend enough!